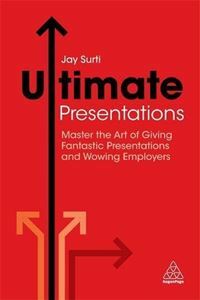 Master the Art of Giving Fantastic Presentations and Wowing Employers. Ultimate Presentations covers every aspect of this essential business skill: how to prepare, how to structure a great presentation, using technology and visual aids, communicating a strong message, tailoring a presentation to an audience, highlighting your personal skills through your presentation, time management and dealing with Q & As. Powered by nopCommerce Copyright © 2019 Prospects. All rights reserved.